Invitation letter from the company with specific job position, salary and employment duration. Copy of passport and all the pages with stamp. 2 pcs (2x3 cm) photo with white or blue background. Approval letter from the Ministry of Labour. To obtain this, the employer must submit a WP3 form (Ready to edit and print) at the office of foreign worker administration, Department of Employment, Ministry of Labour. 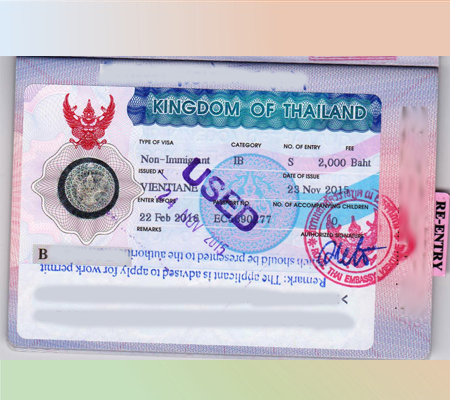 Personal documents such as TOR and Diploma. Letter from the company requesting that you will apply for NON B visa. You can download this file in Thai language. Note: If any of the documents are incomplete. Ask the company to provide a letter explaining the absence of such documents.